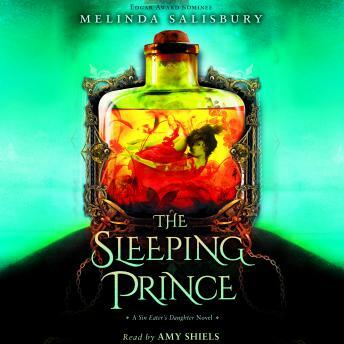 When her village is evacuated as part of the war against the Sleeping Prince, Errin is left desperate and homeless. The only person she can turn to is the mysterious Silas, a young man who buys Errin's herbs to cast dangerous spells she was never supposed to see. Silas promises to help Errin, but when he's taken by the Prince's forces, Errin must journey across her war-ravaged kingdom to find Silas's family--a legendary band of alchemists with the power to cure Errin's mother. But their abilities come at a great cost, and with the Sleeping Prince drawing nearer, Errin must make a heartbreaking choice that could affect the whole kingdom. I absolutely loved The Sin Eaters Daughter and couldn't wait for this book to come out. Unfortunately, this story didn't pick up where the other left off. In fact, it wasn't until almost the end of the book that I could finally understand any of it. The narration was good. This book was a disappointment. I love these books!!! I can't wait for the third installment. I will say Book one had me pulled into the story more than this one, but they can't all be the same!! The narrator is amazing!! Loved this book as much as the first. Cant wait for the next. FABULOUS LY written!! Suspenseful, engaging, the story is intricate and pulls the reader in! I could not stop listening once I started ! The narrator was wonderful and she has a great talent at bringing these characters to life !! I'm hooked !